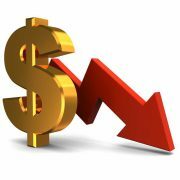 One of the most terrifying parts of being injured is the financial stress caused by the accident. As medical bills pile up, and you are unable to go to work, your fear of financial instability may prevent you from seeking an attorney. A lot of my clients admit that they waited to seek an attorney’s help because they were afraid they could not afford the attorney’s fees. Anyone can afford a personal injury attorney. This article explains how most personal injury attorneys are paid. Personal injury attorneys understand the financial hardship that victims face. Most personal injury attorneys work on a “contingency fee” basis. This means that when a personal injury attorney takes your case, you do have to pay any out-of-pocket retainer to engage their services. 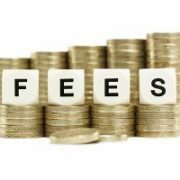 When the case resolves, the attorney takes their fee, usually around 1/3 of the gross settlement. If there is no recovery, the victim does not owe the attorney any fee. It is also common for personal injury attorneys to raise the fee if a lawsuit is filed. Sometimes, a victim’s claim is either denied by the insurance company, or they present an offer insufficient to pay the victim’s medical bills and provide adequate compensations for their pain and suffering. Due to the increased cost, risk and legal work associated with filing a lawsuit, many personal injury attorneys raise their fee to 40% after suit is filed. 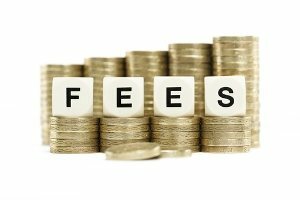 For the attorney to raise the fee, the client and attorney must agree upon this arrangement at the beginning of the case. In addition, it is always the client’s decision whether to file a lawsuit. Your attorney should always provide a cost/benefit analysis of litigation, and work with you to decide if litigation is the appropriate route. One final cost factor to consider is that personal injury attorneys also routinely place language in their retainer which allows them to recover their out-of-pocket costs associated with handling your case. During the claims process, a personal injury attorney will front costs, such as costs to order medical records, police reports, copying, postage and other various costs. If a lawsuit is filed, the costs can be substantially higher than pre-litigation, as the attorney will front filing fees, depositions fees, expert witness fees, exhibit preparation costs, and many other incidentals. While the attorney’s fees represent compensation for the attorney’s work, the attorney will expect any costs advanced to be paid out of a settlement as well. If the attorney loses the case, or does not obtain a recovery, the attorney will usually absorb the out-of-pocket costs. 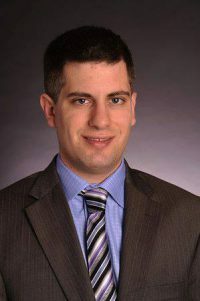 As litigating a case can cost thousands of dollars, personal injury attorneys often incur substantial risk to adequately represent their clients. When meeting with an attorney, you should always inquire about what costs and fees may be associated with your case. Attorneys have a professional and ethical obligation to keep records of any out-of-pocket costs they are claiming were incurred by handling your file. In addition, the attorney should always review all costs and attorney’s fees with the client through a settlement sheet prior to disbursing settlement funds. If you have been injured, you should not worry about any out-of-pocket cost to get the representation you deserve. If you have any other questions about how personal injury attorneys are compensated, or would like to discuss your case, please call us at 240-403-7200.